Dr Rachel Williams joined the Academic Unit of Elderly Care and Rehabilitation, in May 2017, as a Qualitative Research Fellow. She provides support on various projects within the Unit, including the process evaluation of The PATCH Study – a feasibility trial to investigate the clinical and cost effectiveness of the Skilful Care Training Package when delivered in a care home setting, compared to Usual Care in that setting. 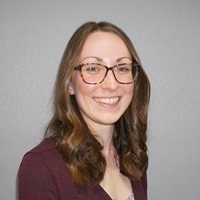 Rachel is also undertaking, with colleagues, a systematic review and thematic synthesis of qualitative studies exploring adults’ perceptions, views and lived experiences of sedentary behaviour and participation in interventions designed to reduce sedentary behaviour in adults. Rachel is an Associate Member of the Health Advancement Research Team (HART), University of Lincoln. Her doctoral research explored the experiences of ex-Services personnel in relation to retirement, ageing and physical activity, and employed a novel theoretical combination of figurational sociology and symbolic interactionism. Rachel organised the 2017 British Sociological Association Sport Study Group Postgraduate Forum. Williams RK, Allen-Collinson J, Evans AB, Briggs J. (2017) ‘We may be falling apart but we still keep going’: retired servicemen’s experiences of their ageing bodies. Qualitative Research in Sport, Exercise and Health, 10 (2), 190-205. Williams RK, Middleton G, Allen-Collinson J, Kane R, Coussens A. (2016) The occupational role of the lay health trainer in England: A review of practice. Universal Journal of Public Health, 4 (4):218-224. Evans AB, Allen-Collinson J, Williams RK. (2016) Risky bodies, risky spaces, maternal ‘instincts’: swimming and motherhood. International Review for the Sociology of Sport, 52 (8) 972-991.